Produktinformationen "TETRIX® 180-Degree Standard-Scale HS-485HB Servo Motor"
Producing nearly 84 oz-in. of torque power, the 180-degree servo is one of the best choices for rugged robotic applications. 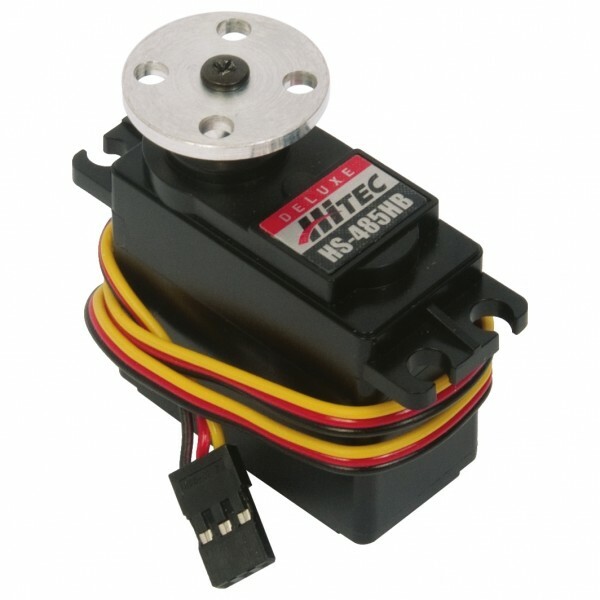 This servo’s great performance and durability are a combination of Karbonite gears, high-performance circuitry, and a ball bearing-supported output shaft. Karbonite gearing is nearly four times stronger than nylon gears and provides virtually wear-free performance. Standard rotational range is 90 degrees, but it can be operated to 180 degrees with controllers capable of generating a pulse range from 600 usec to 2400 usec. Weiterführende Links zu "TETRIX® 180-Degree Standard-Scale HS-485HB Servo Motor"
Weitere Info "TETRIX® 180-Degree Standard-Scale HS-485HB Servo Motor"
Kundenbewertungen für "TETRIX® 180-Degree Standard-Scale HS-485HB Servo Motor"